By our own Jim Ivy. Spread this around like oleo in a planned community of the 1950’s. 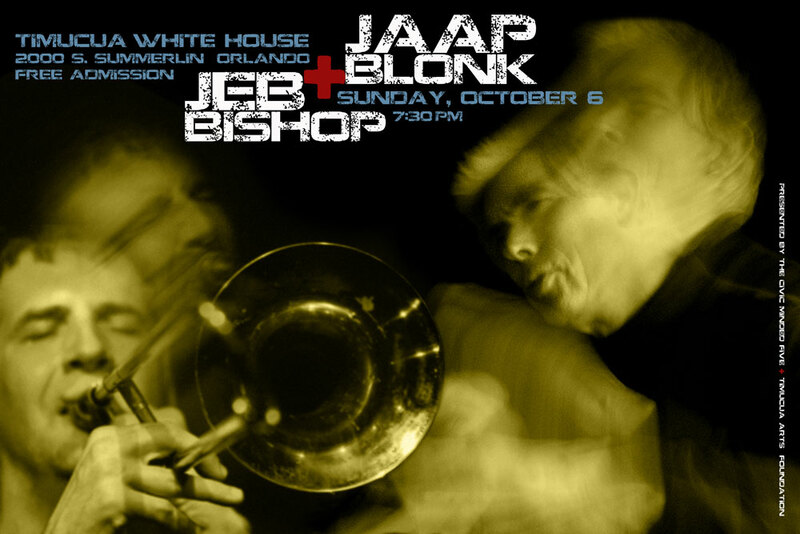 Tags: Civic Minded 5, cm5, Jaap Blonk, Jeb Bishop, Timucua Arts Foundation, Timucua white house. Bookmark the permalink.